A few months ago I had made a post about Nikola-Lenivets - Small City With Big Art. 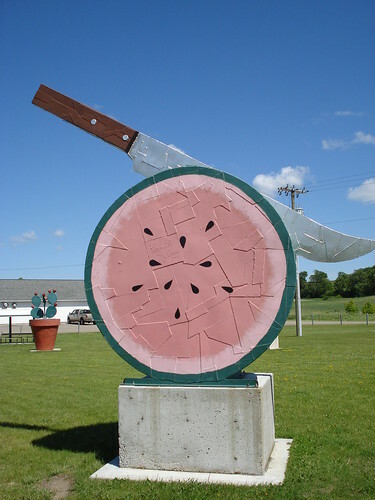 Today I present Vining - a very small town in Minnesota, USA, with a population (July 2008) of only 66 (source). 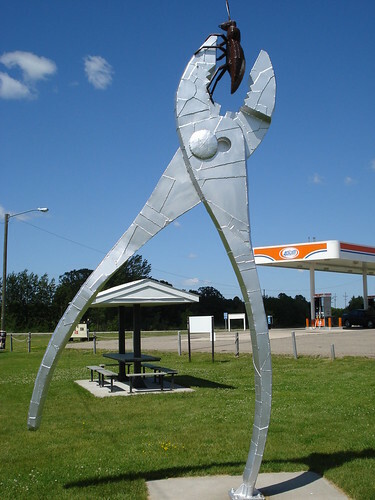 Inspite of being so small, the town has a large collection of remarkable statues. 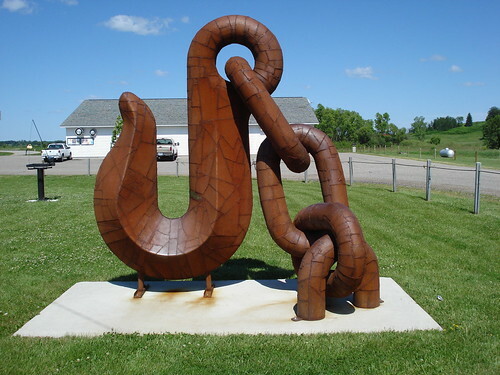 These sculptures are the work of artist Ken Nyberg, a viningian, who created these for his town. 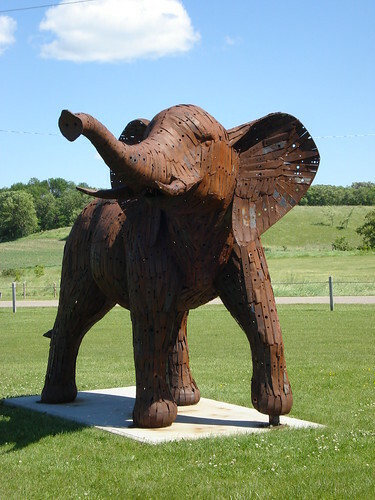 He has created these remarkable sculptures from scrap metal sheets/used lawnmower blades. 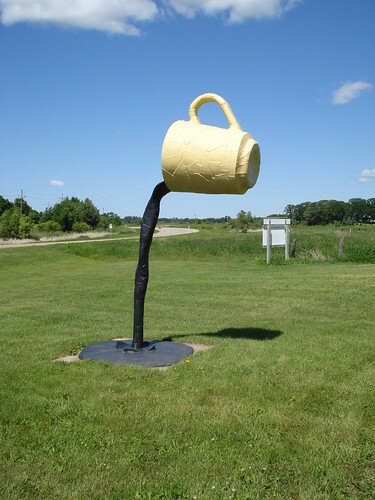 Some are painted, others are left to weather in the elements. 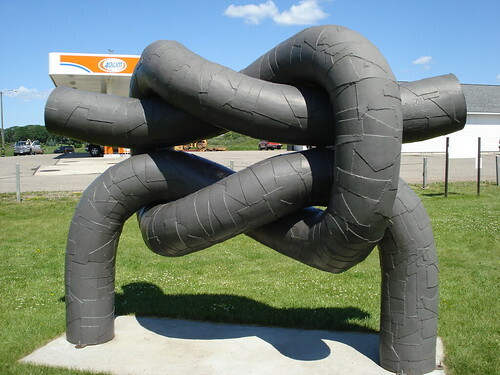 Most of his works are displayed in the 'Nyberg Sculptures Park' named after him. 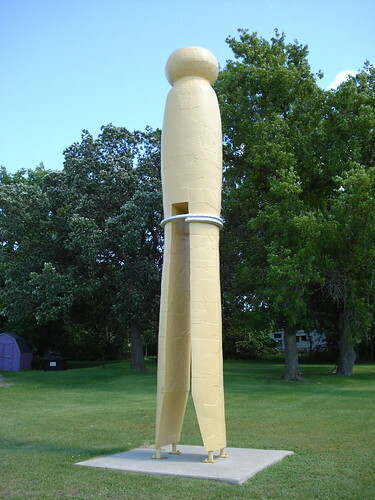 However some of his statues are placed along the highway which passes through it and few are reportedly at other locations in the town as well as in Henning, Fergus Falls, New York Mills, Otter Tail, Parkers Prairie, and Byron, MN. Credits: I am thankful to jcarwash31 for posting all these images at Flickr under the Creative Commons License.